Monday, September 15. 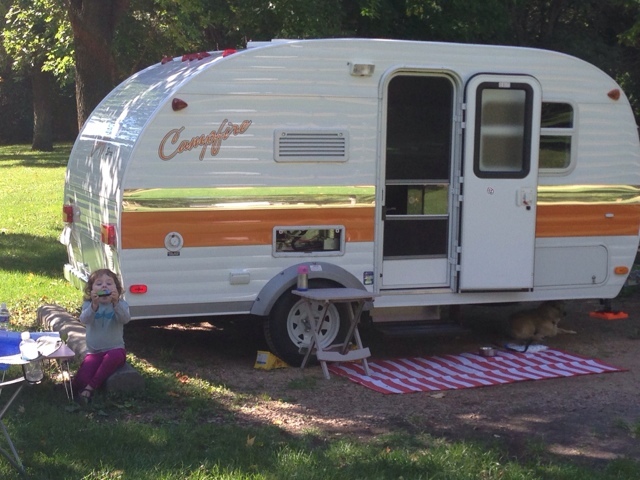 I spent the day on Sunday just hanging around the RV park. It was as beautiful day, so I got a nice walk in and had another enjoyable campfire. While sitting at the campfire, I happened to notice that the spare tire on the trailer that is mounted underneath, seemed to be crooked. When I checked, it was loose, just wobbling around under there, so I got out the manual and figured out how to tighten it back up - guess that's another of those things to add to the checklist before taking off. This is, indeed, an educational experience. I got disconnected and ready for take off - in the rain. I heard it start raining around 3:30 am and it let up but didn't stop at all. Yes, I got soaked but was on the road by 8:30. I drove through some beautiful country - rolling hillsides that could be seen for miles, and several Amish horse and carriages with people wearing straw hats and were all huddled up, trying to stay dry. The rain continued until I got to Rochester, where I stopped to check on a replacement for my missing vent cover. No, they couldn't find it listed in their catalogs. I drove on to Ben's house and got quite the reception from the twins. Norah smiled at me but stayed where she was. Camille had big smiles, started yelling and raised her arms for me to pick her up. I then got a great big hug and she stuck like glue for about an hour. I walked to Charlotte's school to pick her up and she was happy to see me and very talkative on the way home. I learned about her friend, Pearl, how she hurt her leg at Aunt Jan's cabin, and how much she likes her room. Ben and Jill are making progress with the new house; the kitchen is finished, several rooms are now painted, the garage is painted, the old fence has been torn down, and the stone border around one of the trees in the back yard has been disassembled in preparation for the tree to be removed (it is damaged and some of it hangs over the house). They are busy folks, for sure. Tonight, when Charlotte and I were going up the stairs for bedtime stories, she turned back and signed to her Mom, I Love You, by pointing to her eye, touching her heart, and pointing to Jill. When we got to her room, she told me that "nonverbal communication means that you don't use words or sounds". She is 3 years old - and I'm proud to say she's a smart one too. I keep trying to get pictures but these kids never sit still. Wednesday, September 17. Once again, the days are filled with activity and the rewards of baby laughter, cries, feeding frenzies, story times, imaginary friends, and then there has been a couple of not-so-rewarding tantrums by Charlotte. 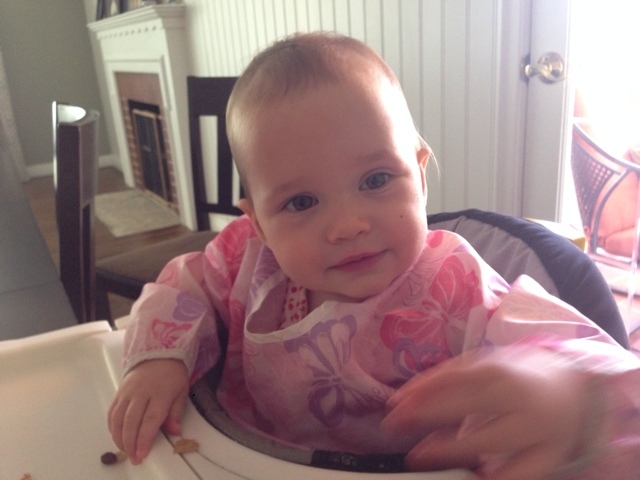 Most of the time she is lots of fun to be around and she is learning so much so fast. I taught her how to play "Go Fish" today and she caught on quickly and did pretty good at following the rules. This afternoon Jill and I and the kiddos headed out for a walk, it was such a beautiful afternoon. Charlotte wanted to be in her stroller, so we decided to take the 3-mile trek around Lake Harriet. We we're about 6 blocks from home when Norah started getting real fussy and Jill ended up carrying her while pushing Camille in the stroller the last 4 blocks back to the house. It was dinner time and we just couldn't get the food to them fast enough. The are great eaters and wolfed down a half pound of tofu, lots of peas, and some black beans too. The rest of us had pizza. 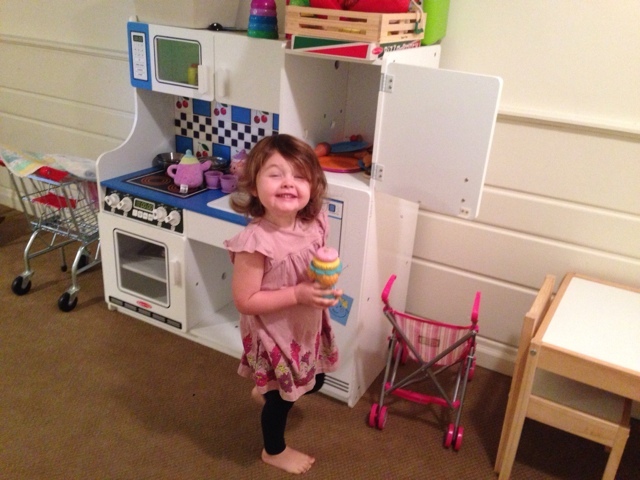 Charlotte with a very cheesy face - we were having an ice cream social. Thursday, September 18. Charlotte was in school all day today, so I kept tabs on the little ones while Jill did some painting. She is making lots of progress, but can only tackle it in the evenings or when there is a grandparent around to help with the kids. I'm so happy that they have such a nice, comfortable home and lots of room for the kids to play. Saturday, September 20. Jill, Charlotte, and I went to garage sales in the neighborhood this morning, in hopes of finding winter stuff for the girls. We did find snow pants for Charlotte and a life preserver for the twins' future use. 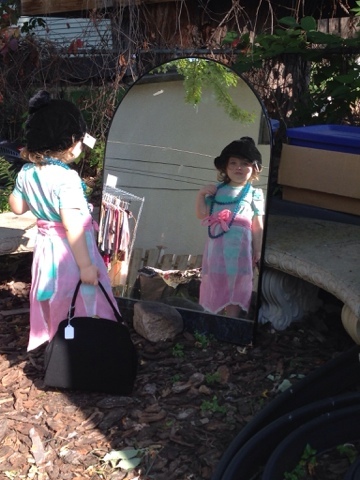 We stopped at a place that had lots of vintage clothing and the lady really liked Charlotte, offering aprons, hats, belts, purses, and beads to try on and then gave her a purse and apron to take home, check it out. My birthday gift to Jill (back in August) was a night of babysitting, so they went out to dinner tonight and I went to bed early. Sunday, September 21. 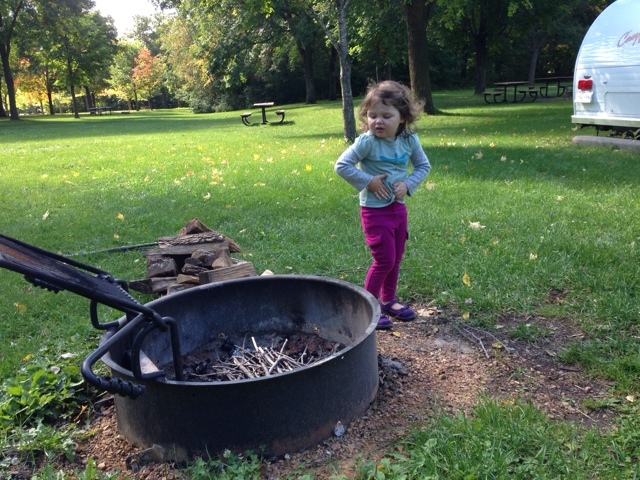 Today is the day that Charlotte and I went for a camping adventure to Baker Park Campground in the Three Rivers Recreation District - about 30 miles west of Minneapolis. I've been looking forward to doing this but have also had some reservations. She was definitely up for it, all she talked about since we told her yesterday. We had so much fun! She was totally into it, definitely into having snacks and mealtimes, great about going for a hike - to the playground, greeting our neighbors, and being cooperative with tooth brushing, potty (most of the time), and bedtime. Playing harmonica at our campsite. Not liking to build a campfire.